This is a traditional method for grilling a Japanese-style steak. The combination of beef and vegetables makes it a whole meal. You can also serve this over rice. Note: This recipe works best if you have a grill wok. Further, you can buy Sukiyaki Sauce in most grocery stores. Shirataki is a type of Japanese noodle. Brush vegetables and tofu with oil. Season steak with salt and pepper. Use more if need. Place onto hot grill. Add vegetables and tofu to grill wok and place on ​the grate. Grill steak until medium-rare to medium, and vegetables until lightly browned or showing grill marks. Remove from grill. Slice meat into thin strips. Slice vegetables thinly. 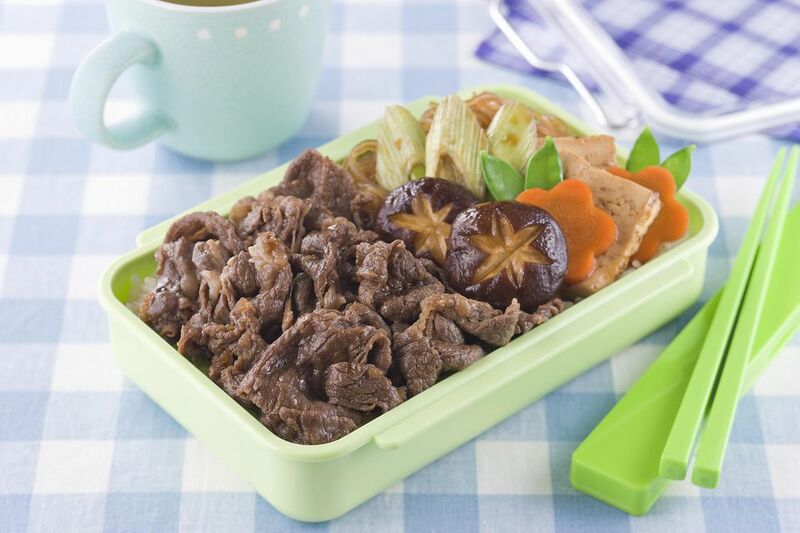 In a large frying pan or wok over medium heat add sukiyaki sauce. Add steak and toss to cover. Add vegetables and tofu. Gently turn until hot and evenly distributed. Serve immediately.